Today in history, Harriet Tubman led 150 Union soldiers under the command of Col. James Montgomery in the Combahee River Raid, The Snyder Act gave Native Americans the right to vote in 1924, and Cornell West was born in Tulsa, Oklahoma. This is Marc Steiner, and today is June the 2nd. Welcome to This Day In History. That’s “Road Runner” by Bo Diddley. The hall of fame vocalist, guitarist and songwriter died today in 2008. Most of us never realized that the right to vote is not enshrined in our constitution. It began in the 1700’s when White men of property were the ones who could vote. 150 years ago Black men were given the right to vote and the battle for Black voting rights never ended. Women got the right to vote only in 1920 with the passage of the 19th amendment after a long battle, and it was not until today in 1924 — just 91 years ago — that Native Americans, the original inhabitants of this land, were given full citizenship with the passage of The Snyder Act. 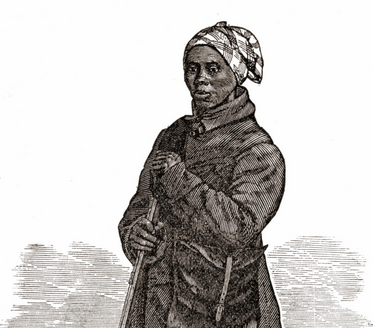 We all know Harriet Tubman as the escaped enslaved woman who led many people in daring escapes from their enslavement. What we sometimes forget is that Harriet Tubman was the only woman to lead a military operation during the Civil War. Today in 1863, Tubman led 150 Union soldiers under the command of Col. James Montgomery in the Combahee River Raid. The goal was to burn down the plantations and businesses of Confederate leaders behind the lines. 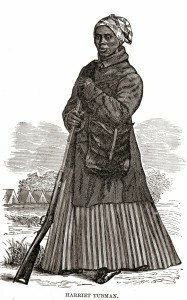 Information Tubman received from enslaved people allowed her to guide the Union gunboats around the mines placed in the Combahee River by the Confederates. She not only led the successful raids but also freed 750 people who boarded the gunboats all along the battle’s mission. Harriet Tubman, Mother of Our Nation. In 1896, our only bachelor president ever elected — Grover Cleveland — had his June wedding in the White House today in 1896. He was also the only President to be elected for two nonconsecutive terms. He lost his bid for reelection, but came back to win, defeating the man who moved him out of the White House. There you go, President Cleveland. And while he was getting married, the Guglielmo Marconi patented the machine that gives us work and you so much pleasure: the radio. Today in 1977, American Indian Movement Activist Leonard Peltier was given consecutive life sentences for killing two FBI agents. In 1973, the American Indian Movement, known as AIM, was organizing on reservations. And on his reservation Rosebud, the paramilitary goons that were funded by the FBI tried to rid the reservation of AIM. In that time, more than 60 AIM members and traditional religious leaders were killed and many more assaulted and wounded. It was in this atmosphere that a shootout began between the Tribal police or goons and their FBI mentors and AIM. Two FBI men were killed but no evidence ever came to light that pointed to Leonard Peltier as the one who killed them. Today, he still languishes in prison and the likes of Amnesty International and Bishop Desmond Tutu, among others, have been calling for the release of political prisoner Leonard Peltier. Black Panther and political prisoner Geronimo Pratt, who served 27 years in California prison — 8 of them in solitary confinement — for a crime he did not commit, was released in 1997 when a judge found that he was set up the FBI’s Cointelpro program. Geronimo Pratt passed away today in Tanzania in 1972. And as Geronimo Pratt was being freed in 1997, a real terrorist Timothy McVeigh was convicted of 15 counts of murder and conspiracy for blowing up the Alfred P. Murrah Federal Building in Oklahoma City that killed many children in a day care center. And Happy 62nd Birthday to Brother Cornell West, who grew up in California but was born in Tulsa, Oklahoma today. Here’s a song for your June the 2nd soundtrack. Franklin Delano Alexander Braithwaite, better known as Junior Braithwaite, was a Jamaican singer and one of the founders of the Wailers. He was the youngest member of the group and sang the lead on a few of their first songs, including the one you’re hearing now: “It Hurts To Be Alone.” Junior Braithwaite was murdered today in 1999 in Kingston and we remember him today.